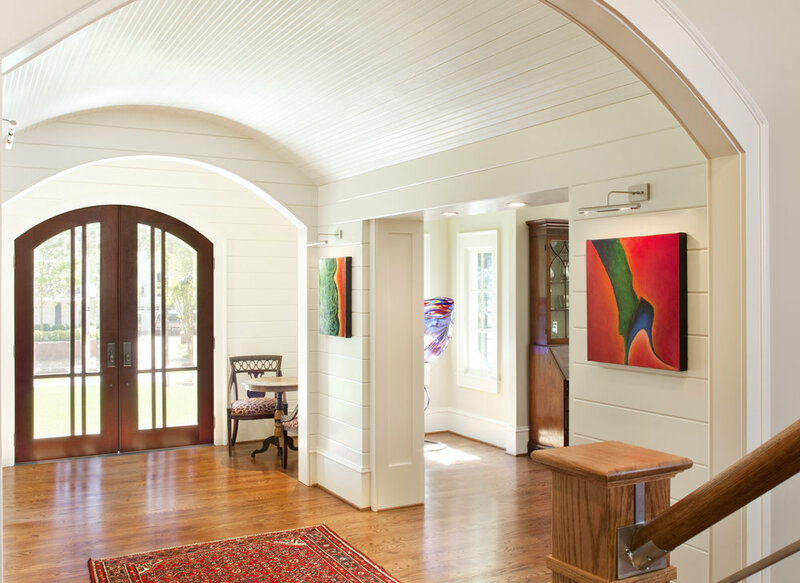 Whimsical detailing, with a historical flavor, is the theme of this renovation to a 1940's cottage style home in Chastain Park, which included an exterior upgrade along with a gutted interior and large addition. As requested by the Owners, a new arts and crafts theme was created and carried throughout the new residence with touches of modern details. A new central gathering point was created for this busy family of 4 with a new gourmet kitchen and stair to the second floor addition.